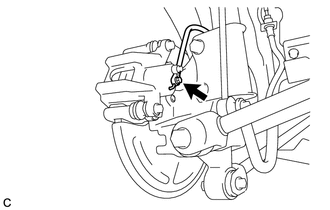 (a) Remove the union bolt and gasket, and separate the rear flexible hose. 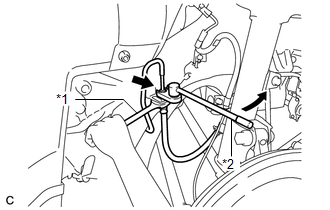 (b) Using a union nut wrench, disconnect the brake line while holding the rear flexible hose with a wrench. (d) Remove the bolt and rear flexible hose from the absorber bracket. Because the left and right rear flexible hoses are not interchangeable, verify the part number when installing the flexible hoses. 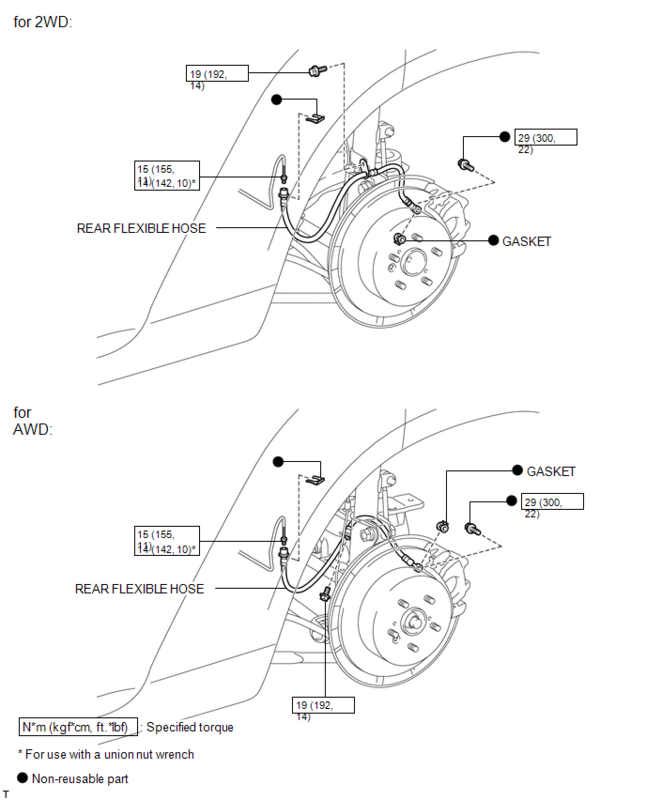 (a) Connect the rear flexible hose to the disc brake cylinder assembly with a new union bolt and a new gasket. (b) Install the rear flexible hose to the bracket with a new clip. 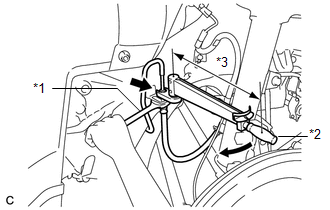 (c) Using a union nut wrench, connect the brake line to the rear brake flexible hose while holding the flexible hose with a wrench. 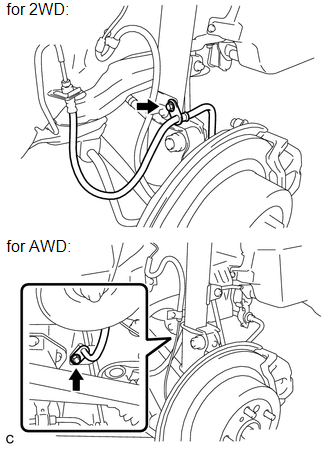 (d) Install the rear flexible hose to the absorber bracket with the bolt.